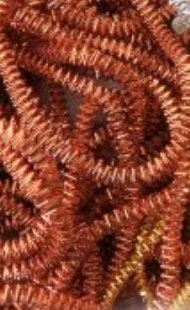 2 Yards of Copper Bright Check #6. Bright Check Purl has a faceted surface and is shiny in appearance. Can be used for chips or laid.